Certified License Salesperson, Member of West Penn Multi-List, National Association of Realtors, PA Board of Realtors & Greater Pittsburgh Board of Realtors. Third generation realtor, Ashley Fitterer brings a multi-faceted, client-centered real estate experience to Jefferson Hills Real Estate. Ashley’s pursuit to enter the real estate business began here in Jefferson Hills with her family owned and operated company. Her family has taught her the importance of honesty, loyalty and dedication when servicing each client. Earning her Bachelor of Science degree, Ashley doubled- majored in Marketing and Leadership & Change Management from Duquesne University in Pittsburgh, PA. After graduating college in 2009, she moved to New York City to pursue her career. 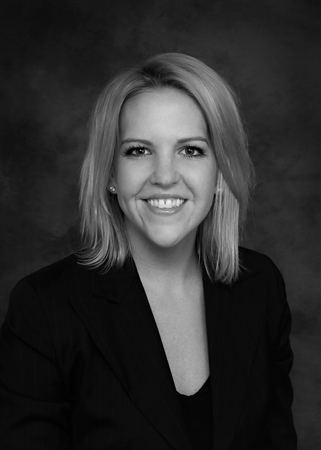 Ashley first joined Sotheby's International Realty in the fall of 2009 working as a Licensed Real Estate Salesperson, assisting agents in the firm's Downtown Manhattan Office. In this capacity, Ashley met Top Producer Paul Anand, with whom she joined in 2011 at Sotheby’s East Side Office in Manhattan. The Paul Anand Team ranked among the Top 100 Producing teams in the country; Ashley was a member for the next six years ending at the reputable firm, Brown Harris Stevens. Ashley adds this diversified experience to Jefferson Hills Real Estate, striving to combine her family-based business background with the fast-paced experience she’s gained while part of the Paul Anand Team. She uses her marketing, management and real estate background to assist the team in becoming successful leaders in the industry. Ashley’s contagious energy and passion for success plays into her everyday life and career. She loves exploring all that Pittsburgh has to offer, and particularly enjoys attending concerts, art and traveling.